The taco craze is sweeping the nation, and Montana is no exception. Tacos are the perfect quick and easy meal, bursting with flavor and coming in endless combinations. 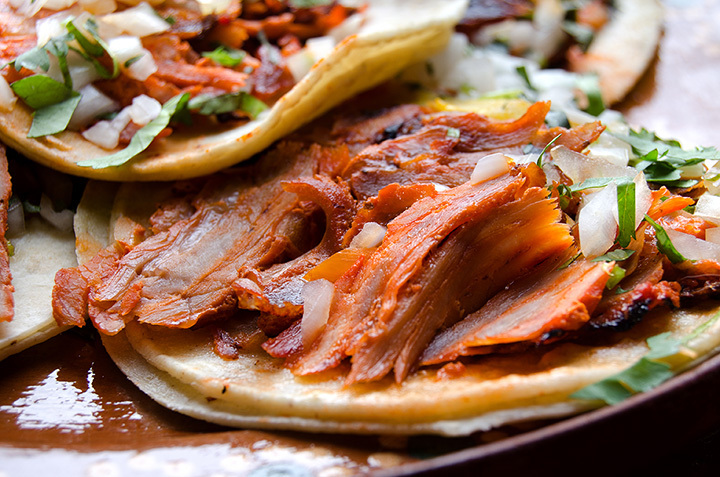 Whether you’re on the run and looking to grab a quick bite at a food truck, or prefer to sit down in a traditional-style restaurant, Montana’s best taco spots are all about quality. Here are our 10 favorites in the state! It’s a stubby, charmingly aged white bus that serves great Mexican. Certainly, El Rodeo’s menu features burritos, enchiladas and fajitas. But the street tacos are supreme. They’re straightforward and delicious. Squeeze some lime on crispy, porky carnitas, grilled asada steak, or a handful of other lovingly braised meats. Missoula is by no means an easy food town. It’s competitive, the real estate is increasingly expensive, and a plethora of quality, tasty establishments seemingly line every other block. But El Diablo sticks to its guns, crafting unpretentious Mexican fare with fresh, local ingredients. The one-page menu lacks pretension and cuts to the chase: choice of item (burrito, taco, open-faced), choice of meat (from pork to veggie), choice of sides and garnishes. That’s all one needs to know. Feet from highway 93 connecting the Bitterroot regions of Montana and Idaho, the nondescript La Mas Fina is easy to miss and even harder to forget. This humble establishment possesses all the best qualities of the best taquerias: family-run, friendly stafff, delicious, simple cuisine, with attention entirely on food, not decor. As there is sometimes a wait, it’s recommended to call ahead and carry-out. The go-to are the picadillo tacos, brimming with shredded, marinated beef, cilantro and cabbage. Authenticity is name of the game at El Vaquero. Translating to something to the effect of “cowboy-herdsman,” this taqueria embraces its rural Montana lineage, combing local product with traditional technique. And the traditional technique is simplicity. Carry-out a batch of tacos with your choice of meat, brimming with queso fresco and pinto beans, all made in house, daily. The metallic sheen of this airstream taco stand is impossible to miss. Smack-dab in downtown Bozeman, this taco “truck” is the hip, ingredient-driven pop-up so welcome in Montana’s burgeoning college communities. Admittedly “fusion”, this taqueria takes a hipster, fine-dining tact to the traditional Mexican menu, modernizing simple street tacos with flourishes of both international (Korean barbecue) and local (the majority of the produce and meat is Montanan). Surprisingly or not, amidst the gorgeous Bitterroot Wilderness, a chile relleno simply tastes better. It complements the subtle char of roasted poblano and melted cheeses, smothered in spicy-tomatoey salsa roja. This matte-white, former school bus is a Dillon institution. Depending on one’s mood, the rellenos, enchiladas and burritos comfort and fill, and the tacos are simple and clean. This Missoula-born taqueria has inspired a handful of locations statewide with its people-and-burrito-centric approach. Outside the delicious menu, the establishment has managed to capture to the neighborhood conviviality of a traditional Mexican joint with the casualness-peppered-with-punk-rock that defines modern Montana. The signature here is the Mission-style burrito, loaded with quality mountain ingredients. But it’s the variety of creative tacos that justify the namesake. As with much of the West, Montana is home to a number of Indian Reservations, summating dozens of tribes. And it’s in the context of the Pow Wow, a celebration involving food, dance and good-natured partying, that a particularly American version of the taco emerges: the fry bread taco. Replacing a tortilla with a fried disc of yeast dough, the crispy exterior houses a hearty, heavily-seasoned ground beef, topped with the ubiquitous trinity of shredded iceberg lettuce, diced tomato and shredded cheddar. Check website for Pow Wow calendar. Yes, yes, it’s a chain. But certain franchises become that way for a reason: they do things right. And though authenticity and a charming petting of grime are absent, the crunchy tacos easily outshine any comparable competitor. There are two other assets: the delicious, hot green salsa and early hours that make tacos for breakfast an easy routine to adopt. Check foodie smugness at the door and embrace paper-wrapped tortilla simplicity.